Good news for those looking to purchase a mid-range Android device, HTC Malaysia has just announced the arrival of its dual-SIM HTC Desire 601 that was launchedin Taiwan just last month. Like the original Desire 601, this dual-SIM version comes with a large 4.5” qHD display and packs some of the latest HTC features such as HTC Zoe with Video Highlights and HTC BoomSound. Specs wise, the dual-SIM Desire 601 is powered by a 1.2GHz quad-core processor with 1GB of RAM and 4GB of expandable internal storage. It comes with a 5MP rear shooter with BSI sensor, F2.0/28mm lens, VGA front camera, 2100mAh battery and sadly, only 3G connectivity on board (sorry to those who are on LTE network). 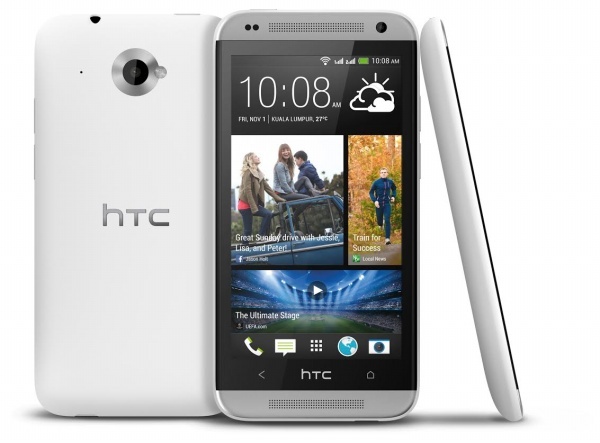 The HTC Desire 601 dual-SIM is available at authorized HTC stores with a retail price of RM1,099 and will be available in black or white.